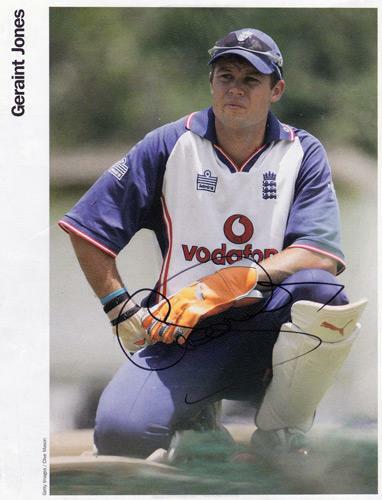 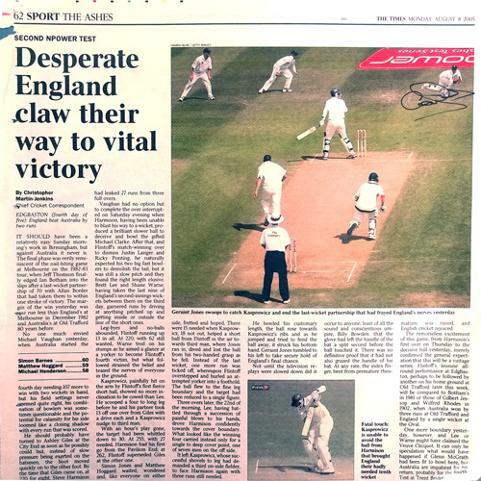 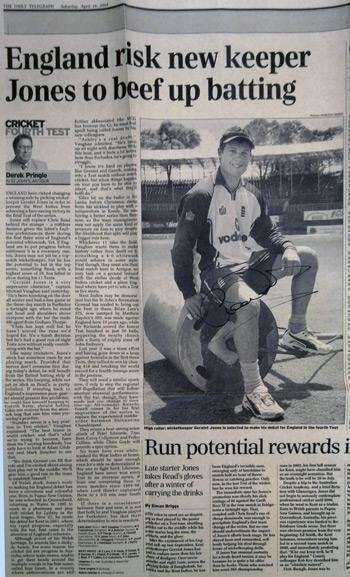 Signed "The Catch" article & pic from back page of "The Times" after his catch off Michael Kasprovicz won the Second Test at Edgbaston in the 2005 Ashes. 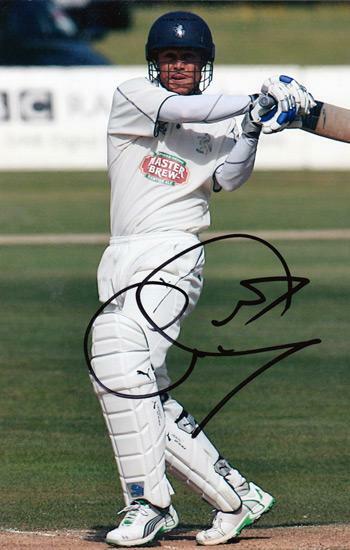 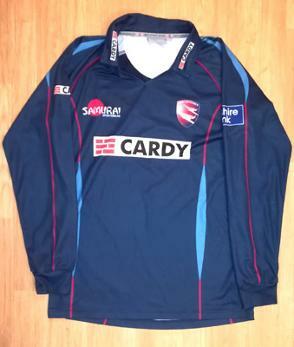 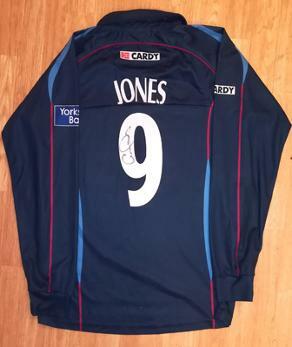 Signed 2012 Kent Spitfires one-day cricket player issued / match worn shirt. 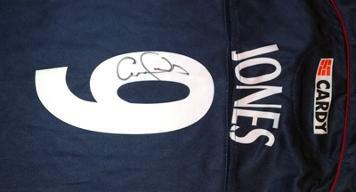 Autographed front & back. 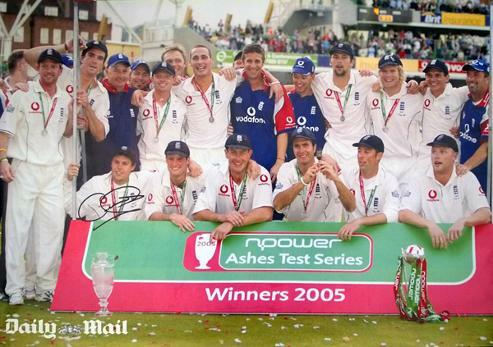 Signed England's 2005 Ashes victory Daily Mail.poster. 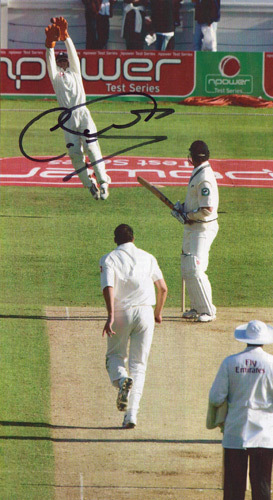 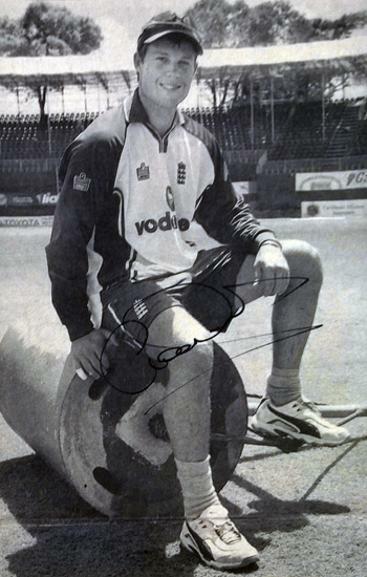 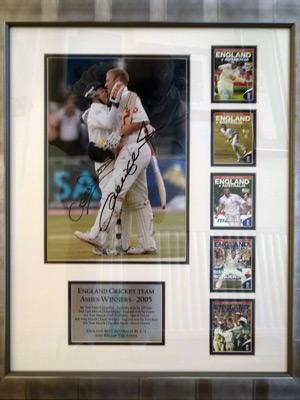 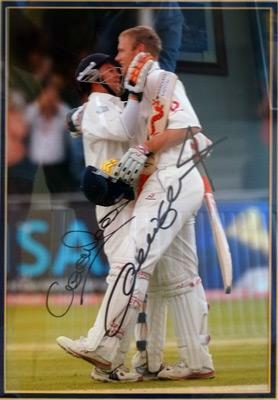 Signed England v New Zealand at Headingley pic of Jonesy leaping high to snaffle a catch behind off Steve Harmison.